"The Invaders! 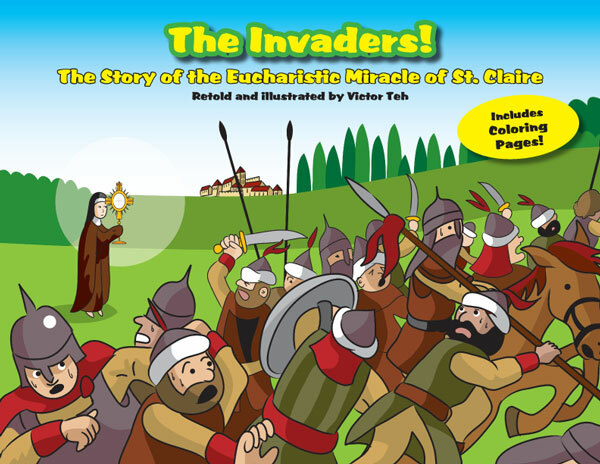 ", now available as PDF eBook, is an exciting retelling of the Eucharistic Miracle of St. Clare, which happened in Assisi, Italy. When invaders came to attack Assisi and St. Clare’s monastery in the year 1240AD, all seemed lost. Yet St. Clare and her nuns had faith in Jesus in the Eucharist, and then an amazing miracle happened! Includes coloring pages! Christmas Party Ideas from Christmas Story eBook!